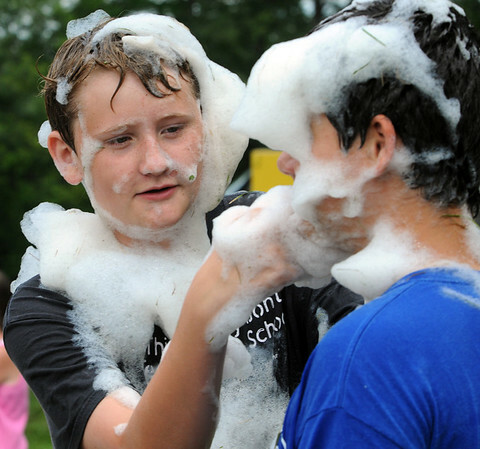 Jake Roy, left, puts foam onto Doug Bean. Children played in the foam laid down by the Danvers Fire Department at the Fireman's Muster in Endicott Park. Photo by Ken Yuszkus/Salem News, Wednesday, July 13, 2011.